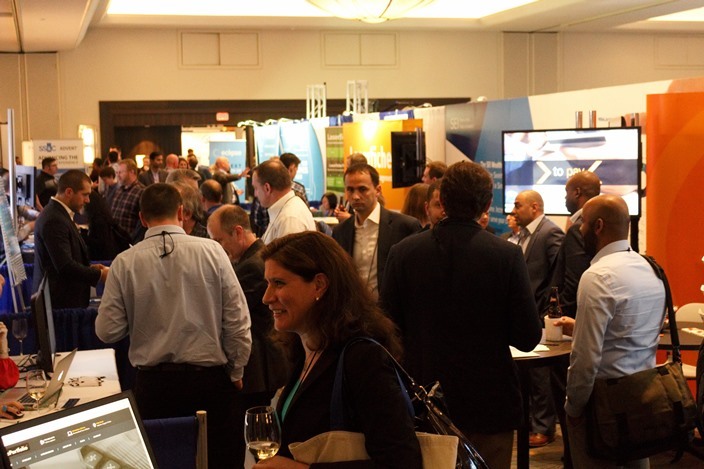 It was great to see so many of you at the 15th annual T3 Technology Conference for financial advisors. 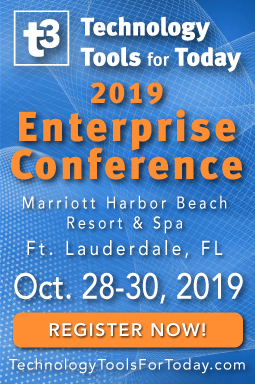 Nearly 700 of you made the trip to participate Feb. 6-9, 2018 at the Marriott Harbor Beach Resort & Spa in Ft. Lauderdale, FL. It was our biggest and best T3 conference yet. This year, the theme for the conference was Technology and the Future Ready Advisor. Our speakers and exhibit hall participants did not disappoint. 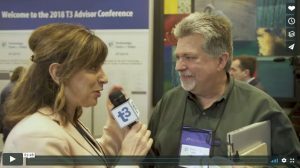 Below you will find two conference montage videos you might enjoy watching, just to get a sense of what you missed – and, hopefully, you will go in and mark your calendar now in order to save the date for the 2019 T3 conference for advisors, which will be held January 29 – February 1, 2019 in Dallas. 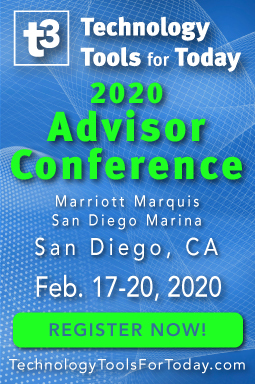 I know this is a little earlier in the year than you may have come to expect, but the TD Ameritrade National LINC conference will actually occur AFTER the T3 Advisor conference next year. 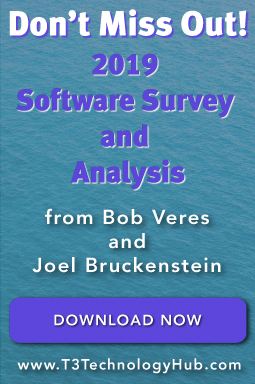 Bob Veres and I dissected the 2018 Advisory Profession Software Survey findings and presented our initial observations (click here to Download the Report). 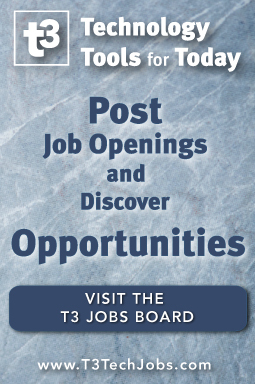 Employers can post up to 5 jobs without cost anytime between no and March 15th. Thereafter, if you want to leave your job posting(s) up on the site, the special introductory price will be just $100 per job ad and you will be able to leave the ad up until the position is filled. 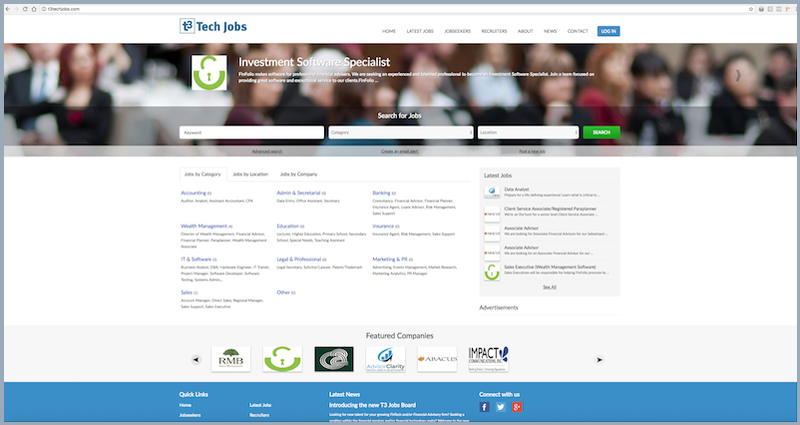 There is no cost for job seekers to post their information, set up a free account, and look around, apply for jobs, etc. 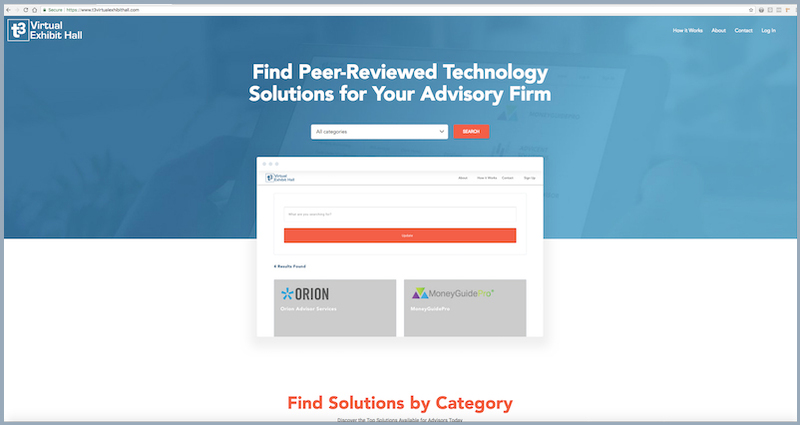 The T3 Virtual Exhibit Hall offers a single location for advisory firms to find the best technology solutions on the market today and compare their features. 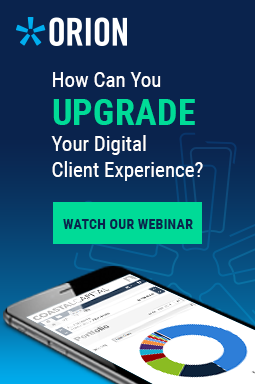 When it’s time for your next software upgrade, the Virtual Exhibit Hall is the only place where you find real reviews from real users so you can make a more informed technology purchase decision. 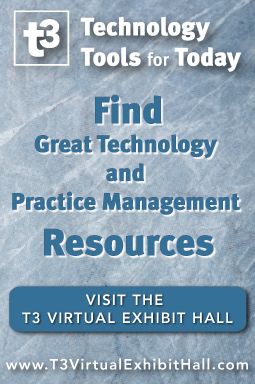 Every technology provider you’ll find in the Virtual Exhibit Hall has been verified with the T3 Standard of Excellence. 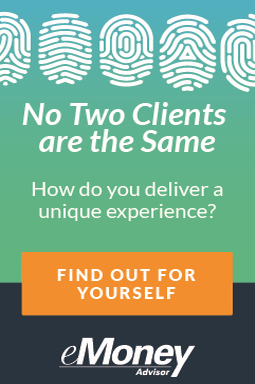 You can search for a specific feature based on your unique needs to help you find the best fit for your firm. 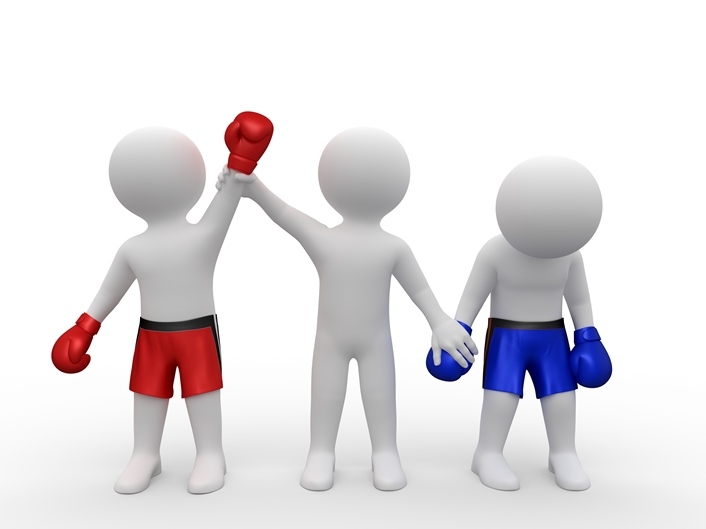 Due diligence that used to require hours of information requests demos, and calls can now be in a matter of minutes. 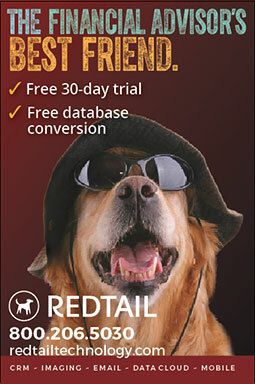 If you find a technology solution you like, you can contact them directly from the Virtual Exhibit Hall. 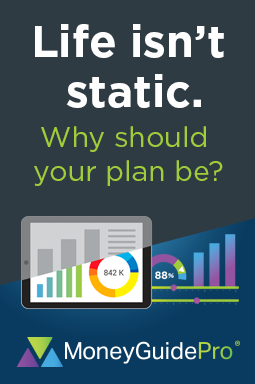 It’s all designed to be fast and seamless so you can make more informed decisions, more quickly. Marie Swift and her team at Impact Communications along with Phil Galanty and the AIM Meetings team for bringing everything together in a thoughtful and organized way.